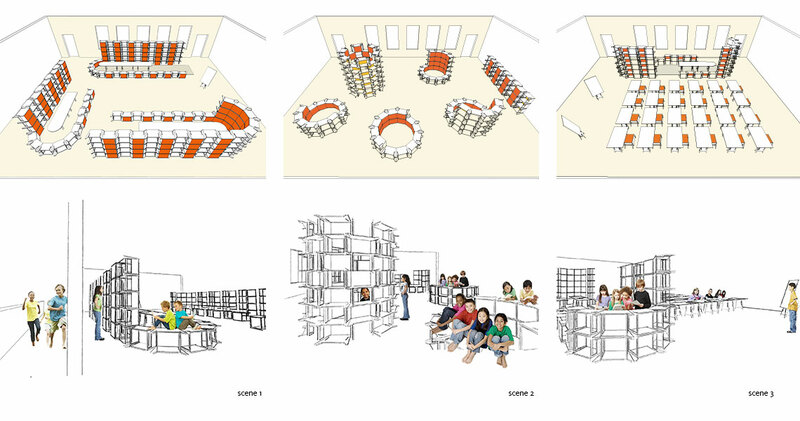 AULa’s design acknowl­edges that spaces for edu­ca­tion should meet the needs of a vari­ety of chil­dren with a vari­ety of les­son types. The spa­tial set­tings of a class­room have a direct influ­ence on the lessons being taught and play a cru­cial role in the psy­cho­log­i­cal devel­op­ment of a child. Our designs are not only about mak­ing class­rooms but pro­duc­ing learn­ing envi­ron­ments. 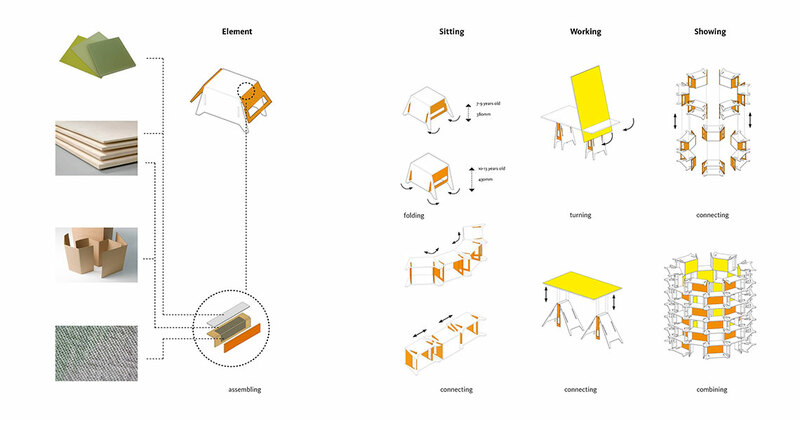 We have designed a fold­able, mul­ti­func­tional fur­ni­ture piece, a sim­ple but del­i­cate design. It stands out and makes the aDream brand rec­og­niz­able. By design­ing mul­ti­ple fur­ni­ture set­tings, we make it pos­si­ble for every child to have a cus­tomized envi­ron­ment in which to learning. 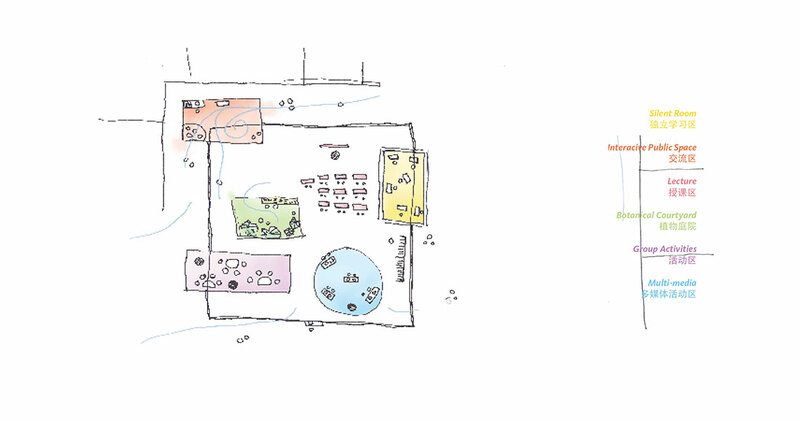 aDream seeks not only to make dream cen­ters but enhanced and rede­vel­oped class­rooms. We see these class­rooms hav­ing inter­me­di­ate spaces which accom­mo­date dif­fer­ent class activ­i­ties. The school can become a learn­ing envi­ron­ment where chil­dren dis­cover the world by inter­ac­tion. The class­room is lifted from iso­la­tion when pub­lic spaces and cir­cu­la­tion paths flow inside and with the indoor and out­door environments.